This game plan indicates a very interesting investment strategy of Rakesh Jhunjhunwala. His first purchase of McNally Bharat stock was in December 2009 when he bought 4.8 lakh shares (1.54% of McNally’s equity) at the then prevailing price of about Rs. 212. Since then he has waited patiently and studied McNally Bharat’s performance to see whether it is worthy of further investment. 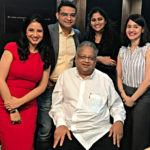 After nearly three years, though Rakesh Jhunjhunwala has suffered a loss of 47% on his initial investment, he has decided it is worth while to increase his stake by another 5%. This game plan can be seen in all of Rakesh Jhunjhunwala’s investments. He first buys a small stake so that he can focus on the stock and keep an eye on his performance. If the stock performs, he buys more of it, no matter what its price. If it does not, then he abandons it. Even Titan, the crown jewel in the portfolio, was bought in bits. In theory, it is not difficult to understand why McNally Bharat would have appealed to the Badshah. McNally is engaged in the heavy engineering space and provides turnkey solutions in the areas of Power, Steel, Aluminum etc. The recent downturn in the Indian economy caused by high interest rates has cost McNally Bharat very dear and it has been in the doldrums. McNally’s investors have, over a period of two years, lost 60% of their wealth. Over the last one year, the stock has lost 5% (even after recovering a lost of the loss caused by the rally pursuant to Rakesh Jhunjhunwala’s additional purchase of the stock). 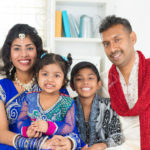 However, this may well be the right time to buy McNally Bharat because with the expected softening of interest rates over the next few quarters, McNally’s fortunes could change rapidly. It must be remembered that McNally Bharat is involved in all the core sectors of the Indian economy. Lets’ get some perspective into McNally Bharat and why Rakesh Jhunjhunwala got interested in the stock. McNally Bharat has constructed over 300 plants on a turnkey basis till date. In 2011 it celebrated its Golden Anniversary year (1961 – 2011). In Q1FY 2013, Mcnally Bharat came out with strong standalone numbers on the back of a strong order backlog. Its topline was INR 4231 mn (+17.5% YoY) and the bottomline was marginally higher at INR 87 mn (+14.3% YoY) aided by better operational performance. It witnessed sharp surge in order bookings (+2.5x to INR 11.8 bn) leading to a total order backlog of INR 40.5 bn, which provides healthy revenue visibility over the next couple of years. However, one matter of concern is that the standalone debt continued to surge, increasing by 17.9% from ~INR 4.4 bn in Q4FY12 to INR 5.1 bn in Q1FY13. This has largely been due to deterioration in working capital cycle. The Debt Equity Ratio has risen from 1.3x in FY12 to 1.5x in Q1FY13. McNally Bharat has ambitious plans to invest about INR 250 mn in FY13 to strengthen its equipment bank so as to increase its execution scale and mitigate the labour shortage scenario in India. 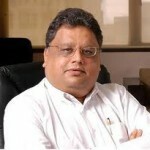 Rakesh Jhunjhunwala does not have many Infrastructure stocks in his portfolio. McNally Bharat, with its’ rich product portfolio and presence across the core sectors of the economy is best placed to benefit from the improving economic scenario. One can expect McNally Bharat to maintain sustainable growth rate both in its top line and bottom line based on its healthy order book position and considering the expected investments in its participating sectors of activity. McNally Bharat has spurted 25% in the last one month on news that Rakesh Jhunjhunwala was buying the stock. At the CMP of Rs. 112, it is trading at a P/E of 6.41 FY 2012 EPS of Rs. 17.49 and at a PE of 4 times the expected FY14E earnings. The Price to Book is also low. So, it is not a very expensive stock to buy and hold for long-term investors.